Our family loves water sports but we have yet to try white water rafting as a family. I think I thought my five-year old son would be too young, that the sport would be too dangerous, or that we should maybe wait a few years. 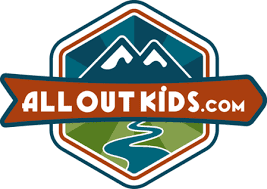 I've since been "corrected" and want to tell you about a local company that is making the sport of white water rafting friendly and fun for the whole family! 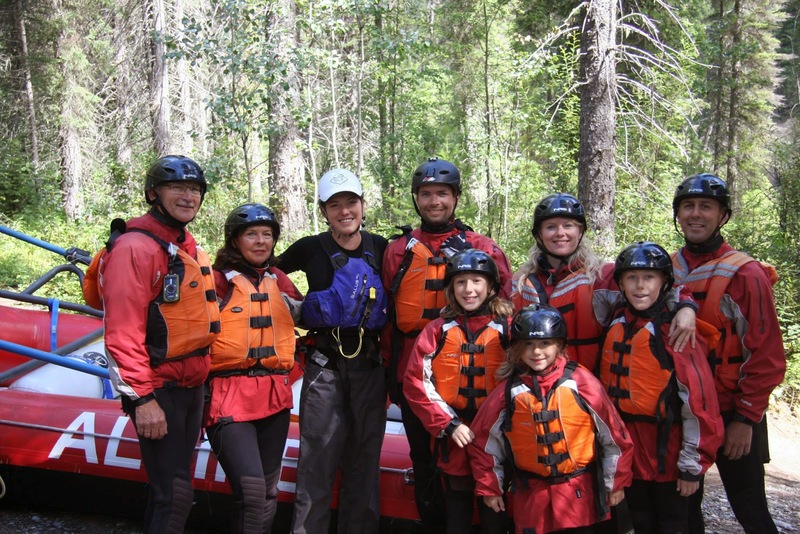 Alpine Rafting offers family-friendly white water rafting trips on the Kicking Horse River, one of the wildest rivers we have in the Canadian Rockies. 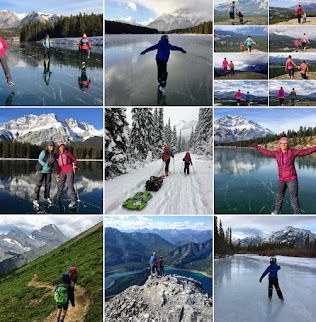 The company is based out of Golden, BC which is only 265km away from Calgary and perfect for a weekend trip with the kids. The town is also conveniently located on your way to other summertime destinations including Shuswap Lake, the Okanagan, and Vancouver. I'm starting to think that spending a half day rafting in Golden would be a fantastic way of breaking up any trip headed west this summer! Alpine Rafting's Family White Water trip is perfect for families wanting a gentle river adventure. 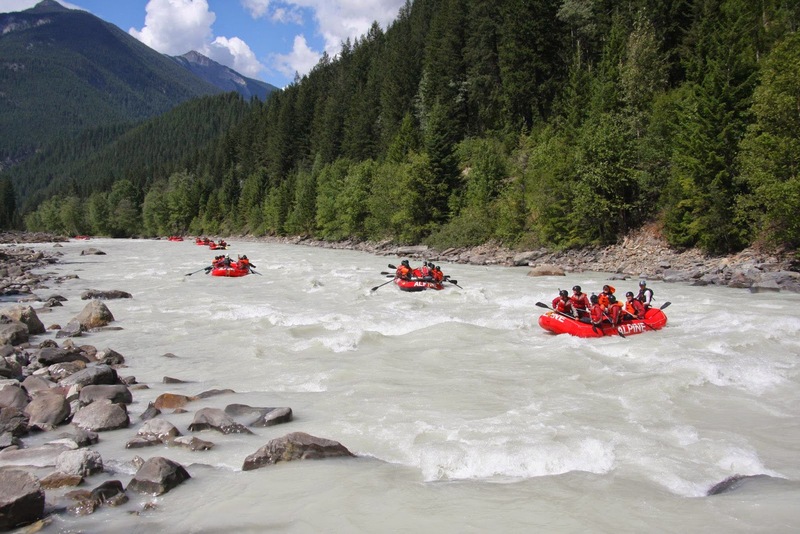 The tour tackles three friendly sections of rapids on the Kicking Horse River in Yoho National Park outside the town of Golden. You'll raft down the 13km Upper Canyon stretch of the river on your half day adventure, and everything is included from necessary gear to keep you safe and warm, to snacks and lunch. The riverside BBQ lunch features your choice of Steak, Chicken Breast or Vegetarian Option, Veggie Platters, Potato Wedges, Salad, and Cookies for Desert along with freshly squeezed lemonade. Four years old!! That's it. Children as young as four can participate in the family white water trip. No experience is required and you can bring the whole gang. 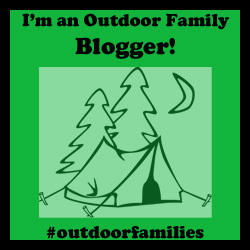 I'm thinking this would be crazy-fun for a family reunion, family camping trip, or large group outing. And it's definitely going on my own calendar for next summer!! Who's coming with me?? Will we have to sell the car to finance the trip? No! Absolutely not. I double checked the prices because I was almost shocked. The price for the family trip starts at $29 per person. And the family tour is only a half day outing which includes a lunch break, so you won't have to worry about the kids getting bored sitting in a boat for hours on end. This is the perfect introduction to rafting as a family and the price is matched accordingly. Alpine Rafting - Bring the Whole Family! 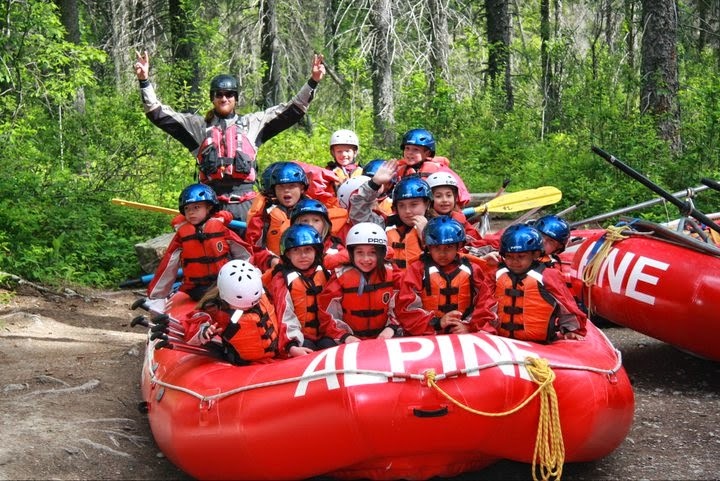 For more information on Alpine Rafting, their tours, their adventure packages, and to book your own tour, visit their website by clicking on the above link, or call 1-888-599-5299. For information on where to camp or stay near Golden, check out Alpine Rafting's Summer Camping Guide. Rafting and Camping packages are available for groups as well as raft n'stay packages at local hotels. Disclaimer: This post was sponsored by Alpine Rafting and my family has not done a tour with the company yet. All rafting photos were provided by the company for use in this story. It's great to see a family-friendly white water rafting company that offers 'tamer' rapid courses for the little ones! We tried this last week with a 4 & 6 year old. It was well organised and fun for the kids, both of them enjoyed it, even the safety briefing and fitting into wetsuits was all fun for them. However, the upper stretch of the river used for the family trip has very few rapids. Obviously this makes it good for the family rafting and means they can easily take the young age group, but we were all left wanting a bit more. The first rapid, a class 2/3 called "Alarm Clock," was great and what we were hoping for, but that was it. After that the remainder of the trip was 45 mins of gentle paddling and the odd small splash. As mentioned we did all still enjoy this, but would have loved a handful more larger rapids and moments of excitement. It does mean we're not rushing back to do again until our kids get older and can do the more exciting middle section. 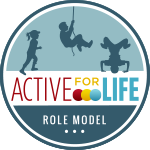 I'd recommend for kids 4 to 8, but likely most older kids would want something extra. Thanks for letting me know about your experience Andrew. We're waiting a bit until our son is older too. We already do a lot of class I water as a family with our kayak. Can't wait till we can do the big stuff together. I just love canoeing. Last week I visited the Algonquins. The place is famous for its canoeing and fishing. I wasn't really ready to go for it. I was pushed into it by my friends. I was trembling from top to toe. But once when it all started, my fear vanished and I was with my friends enjoying and moving along with the waves. We were provided canoes by our lodge Killarney Lodge. The lodging we had was a in a lakeside inn and it was facing the main lakes. Algonquin I must say is a wonderful place to visit.